Filmmaking is a collaborative process. And the writing of our short film, Carry Me Home, was no different. 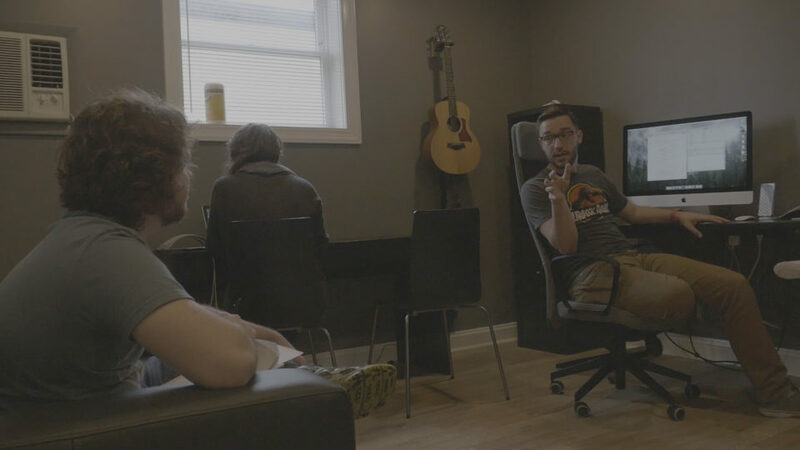 Josh worked with a number of people throughout the writing process but no one had as much input into the final script as his old college roommate and close friend Ephraim Harrell. Amidst the hustle and bustle that comes with the weeks leading up to the first day of filming, Josh and Ephraim spent every available second together reading, revising, and occasionally acting out the script. Josh notes, “There is something about hearing your scripts read aloud that changes them.” That statement rang very true during the scripting of Carry Me Home. After a scene finally would get to a place where they were happy with it, they would read it aloud as a final check. And sometimes doing so would take them all the way back to the beginning. Here is a sample of what that looked like during the writing of one of the pivotal scenes in Carry Me Home. SPOILERS AHEAD! If you haven’t yet seen the film you can rent it here.